Reliability analysis of slope is an important aspect of geotechnical engineering practice. However, it is very difficult to assess the estimation of reliability analysis of slope because it include the uncertainty parameters i.e. soil parameters cohesion of soil (c), angle of shearing resistance (φ) and unit weight of soil (γ). In former days, to execute the reliability analysis of slope, several analytical methods were used but at the present days various computer technique (model) are available and among which Gaussian Process Regression (GPR) and Genetic Programming (GP) are part of them. This paper’s primary objective is to survey the fitness of GPR and GP with the help of First Oder Second Moment Method (FOSM) to find out the Reliability analysis of slope. The GP is the non-parametric kernel probabilistic method. It is adequately assigned by its mean function m(x) and covariance function k(x, x′). GP is a standard technique for acquiring computer automatically to resolve a problem from an eminent-level argument of what need to be performed. 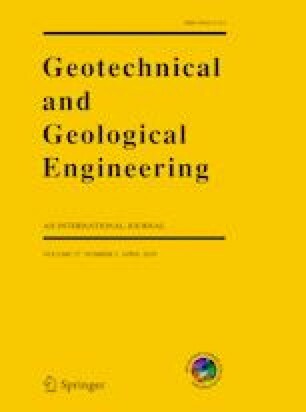 This study shows that the proposed GPR based FOSM is suitable alternative for reliability analysis of slope.